Britishness is an identity that is excluding a growing number of people who, like me, should be among its core constituents. So, what’s this one about? 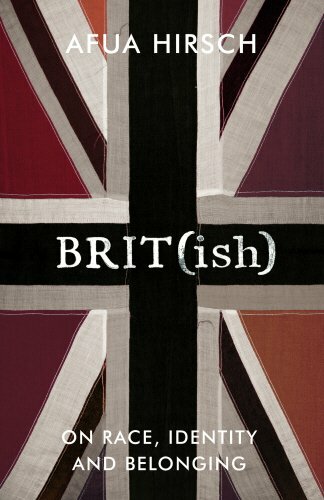 Brit(ish): on Race, Identity and Belonging is a book about the experience of racial prejudice in Britain and how a historic system leads non-white people to question their racial identity. The book advocates for the nation to confront its colonial and slaving past in order to build an honest and inclusive national identity. Brit(ish) is written by Afua Hirsch. Afua is a writer, broadcaster and former practising barrister of Ghanaian, English and Jewish heritage. Afua grew up in southwest London and went on to study at Oxford. I am the eternal outsider. In Wimbledon, I am the black girl. The more I asserted my black identity, the more of a threat I become to the prevailing order – that race is something unseen, unspoken of and unacknowledged in polite society. In Tottenham, I am the rich girl, who speaks The a white person’, and has access to privilege and opportunity most people cannot imagine. For years I internalised this as a status that carried with it multiple rejections, because everywhere I went, I was other. But over time, it began to manifest as an opportunity to observe and question our attitudes towards race and identity, driven by a fascination that perhaps only an outsider can have, and, maybe, the ability to see things that only an outsider can see. Afua’s analysis expands from the personal to the political as she explores the systemic prejudices and inequalities that underly the question ‘But where are you from?’ The seeming naivety of the question exposes, according to Afua, the fundamental difference between the United States, a nation that (perhaps forcibly) explicitly acknowledges its foundations on racism and slavery, and Britain, a nation that celebrates its role in the abolition of the slave trade without examining its role in establishing, perpetuating and continuing to benefit from it. Brit(ish): On Race, Identity and Belonging was released earlier this week, Thursday 1st February 2018. Brit(ish): On Race, Identity and Belonging is available online and in all good bookshops. Get it now on Amazon UK | US. Let us know if you get a copy, but more importantly, be sure to let us know what you think of the book!